In exactly one week, Apple will take the stage at a media gathering in San Francisco to unveil its next-generation iPhone. 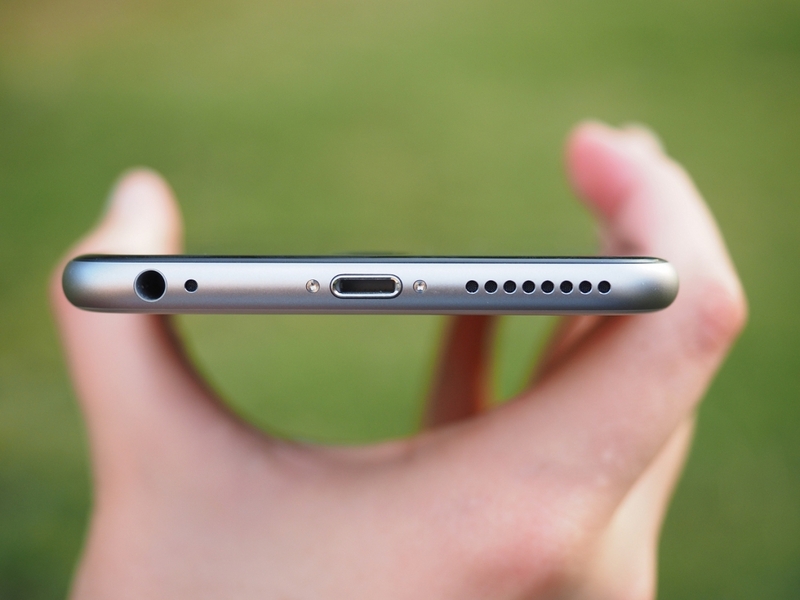 The rumored decision to eliminate the 3.5mm headphone jack has been discussed ad nauseam and if true (it’s almost a guarantee at this point), hordes of people that buy a new iPhone in a few weeks will find themselves stuck with wired headphones that are no longer directly compatible with their smartphone. Rumors suggest Apple may bundle a pair of wireless “AirPods” with each new iPhone. Conversely, Apple could include a set of wired headphones that terminate at a Lightning connector or even include a 3.5mm-to-Lightning adapter although the latter option seems the least likely in my opinion. Those with quality aftermarket headphones of the wired variety will either be forced to buy an adapter like the one mentioned above, switch to a wireless solution or entertain a third option that’ll let you use your wired headphones wirelessly. Mobile accessory maker Griffin Technology will soon be launching its iTrip Clip Bluetooth headphone adapter. The concept is simple – just plug your wired headphones into the iClip dongle then wirelessly connect the dongle to your 3.5mm-less iPhone (or any mobile device with Bluetooth, for that matter). This gives you the freedom to continue to use your wired headset with the new iPhone while not having to be physically tethered to the handset. What’s more, the dongle even has built-in playback controls so you’ll be able to control the music without having to reach for your phone. Griffin even envisions using it in conjunction with your car’s stereo to bring wireless Bluetooth playback capabilities to older head units (assuming your stereo has an auxiliary 3.5mm jack). True to its name, the dongle even features a clip that’ll make it easy to attach to your shirt, backpack, visor or any other stationary object. As The Verge notes, this isn’t the first Bluetooth headset adapter on the block and it won’t be the last. It's also worth noting that Apple isn't even the first to ditch the jack (Chinese smartphone maker LeEco did so earlier this year with its latest round of smartphones). And if Intel has its way, the entire industry will eventually move away from the 3.5mm jack and instead use USB Type-C for audio. Much of this debate could be negated if Apple used USB Type-C instead of its own proprietary connection but I digress. That said, I’d expect to see a surge in similar wireless Bluetooth devices as consumers adjust to life without a 3.5mm jack. Look for the Griffin iClip Bluetooth headphone adapter to arrive next month priced at $19.99.